Productivity Master allows you to block any tab in a browser, close distracting applications or just minimize them. Whether you navigate to a website or open an application that has been blocked, Productivity Master will detect it and act accordingly. You can block additional websites or applications even while Productivity Master is active by clicking on it’s tray icon and selecting “Block more windows”. You can block distractions for 1 minute, 4 hours or even the whole day. The program will automatically unlock when the time expires and will let you access your programs and websites again. 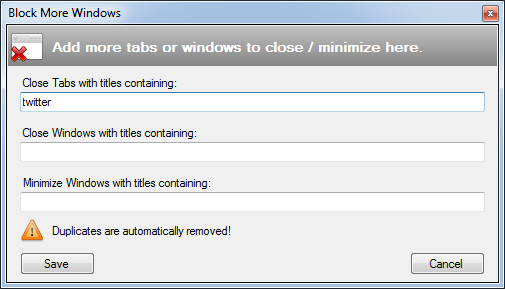 Hover with your mouse over the tray icon to see the remaining time the program blocks websites and other applications. 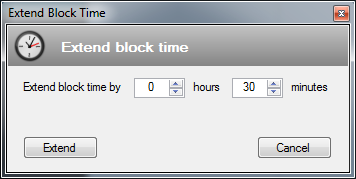 If you need more time to focus on your work, you can extend the block time by clicking the menu item in the tray menu and entering the amount of time you need. You can choose from a range of unlock difficulties. They vary in the amounts of characters you have to enter to unlock. “Disabled” means, you don’t have to enter anything to unlock, “No unlock” means, you can not unlock before the time runs out. Every time you open the unlock window, a new unlock string is generated. 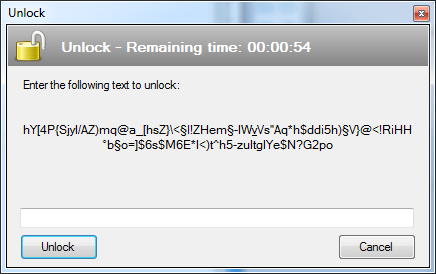 To the left you can see an example of an unlock string that has 100 characters. 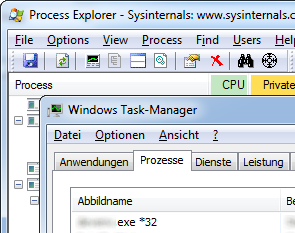 You can optionally disable task managers that could be used to prematurely close the program. Whenever detected, Productivity Master forces them to close.